Audra Lambert (b. 1987, New Orleans) is an independent curator and art critic based in New York City and Editor-in-Chief of ANTE. mag, a platform for under-the-radar contemporary arts + culture. Lambert is Founder/Chief Curator of Antecedent Projects (2014), a NYC- based curatorial consultancy focused on site-specific projects. Her current curatorial project, "Hey, Wow: Works by Oded Halahmy", opens at the Yeshiva University Museum in Spring 2018. Lambert has curated exhibits with the White Roof Project (2015), Flux Art Fair (2016) and New York City Parks Dept's Arsenal Gallery (2017). Lambert currently serves as Curatorial Manager for Art in Odd Places 2018: BODY. She has served on jury and portfolio review committees for RISD, Sugar Hill Children's Museum, Orangenius, and more. She has served as a curatorial portfolio reviewer at RISD, Hunter College (CUNY) MFA Program, Kunstraum LLC, Residency Unlimited and chaNorth. 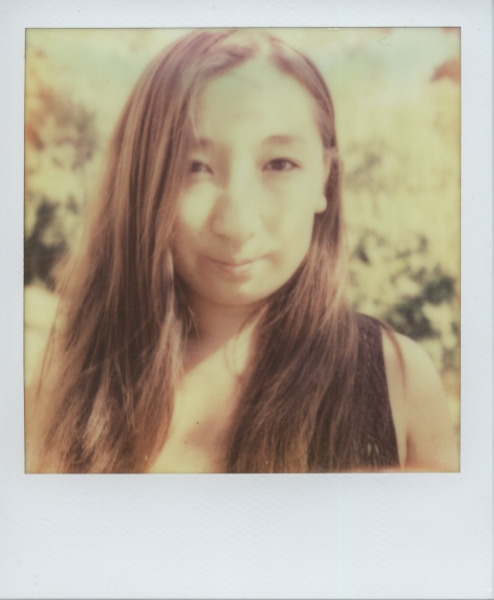 Kimi Kitada is an independent curator based in New York. Since 2014, she has worked as Public Programs & Research Coordinator at Independent Curators International (ICI). She co-founded the curatorial collective 7x8, along with collaborating curators based in London, New York, Toronto, Singapore, and Rome. Recent curatorial projects include: (in)complete at TEMP Art Space in New York, NY (2013), 7x8 Curatorial Conversations at Budapest Art Market in Budapest, Hungary (2013), 7x8 Decay at ARTplacc in Tihany, Hungary (2014), Postscript: Correspondent Works at artQ13 in Rome, Italy (2015), and reset at Garis & Hahn, New York (2016). She received a BA in Art History and Classics from Bucknell University, and an MA in Museum Studies from New York University. Adam Zucker is an artist, curator, and educator born and raised in New York. He holds an M.A from the City College of New York in Art History/Museum Studies. From 2011-2014 Adam was the artistic director of et al Projects, a Brooklyn based gallery committed to showing emerging contemporary artists and under recognized historical artists. As an independent curator, Adam has organized multiple gallery and museum exhibitions. His writing has been published in Berkshire Fine Arts (online), Sculpture Magazine, Black Cat (art journal), and several museum and gallery exhibition catalogs. More information about Adam's work can be found on his website. Victoria Manganiello is a curator and producer with experience in Contemporary Art Museums, Galleries, Auction Houses, and Artists' studios. She is currently the founder and director of a non-profit nomadic art space called No Home Gallery. Throughout her career, she has simultaneously maintained her practice as a contemporary artist, working predominantly with a LeClerc floor loom, synthetic and natural dyes, cotton, wool, and silk to produce woven paintings and fiber installations. She is constantly seeking ways to engage her work with the people she encounters and the issues she cares about and finds inspiration in artistic communities and collaborative environments.